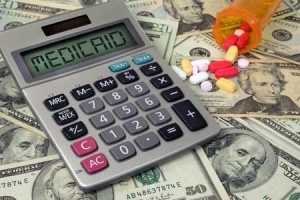 The conversation about expanding Medicaid in North Carolina has been growing, but proposals to make the program less accessible and less efficient are still casting a shadow. Work-reporting requirements are an unnecessary and harmful barrier that would keep North Carolinians from accessing medical coverage. 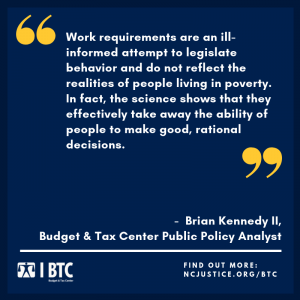 Evidence — from across the nation and from other programs like food assistance — have demonstrated that not only do requirements to report work activities target people who have difficultly navigating administrative red tape, but they also punish people who are working but may not have a reliable work schedule or steady employment. Last Friday afternoon, the President announced he would support a bill that would temporarily open the government until Feb. 15. Quickly following the announcement, both the House and Senate moved forward legislation to approve this measure and the President signed the bill late Friday evening. The temporary re-opening of government agencies will allow federal workers to return to work and receive back pay while lawmakers continue to negotiate a longer-term funding proposal. Still on the table and strongly desired by the President is funding for the proposed southern border wall that precipitated the original shutdown. The re-opening of government is an important first step in recognizing both that the federal government provides critical services such as protecting air travel and providing food assistance to families, and that federal workers, like all workers, play a critical role in the functioning of our economy. Some government agencies will face long backlogs that will take weeks, if not months, to address. 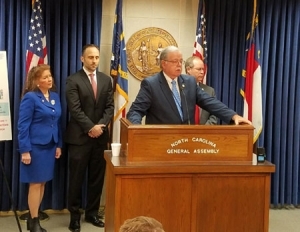 Uncertainty remains such that programs and services for those Americans (and North Carolinians) most in need should likely continue to prepare contingency plans should government shutdown again. Economic damage has been done. Given the temporary nature of the measure and the seeming lack of change in positions in the original debate, this measure does not take away the possibility of a future shutdown (or an emergency declaration for that matter). Both have been threatened should Congress not approve the border wall that President Trump has demanded. In that way, our communities remain under the threat of a fundamental shift in the way that our budget priorities are negotiated — where now shutting down the government and services delivered across the country is on the table. It should never be — especially not as a way to strong-arm racist and unpopular policy.